Propeller Anime: Propeller Anime 8th Anniversary Halloween Party! OCTOBER 17th! Propeller Anime 8th Anniversary Halloween Party! OCTOBER 17th! Friends! It is time to celebrate another year of great times with each other and PARTY HARD! 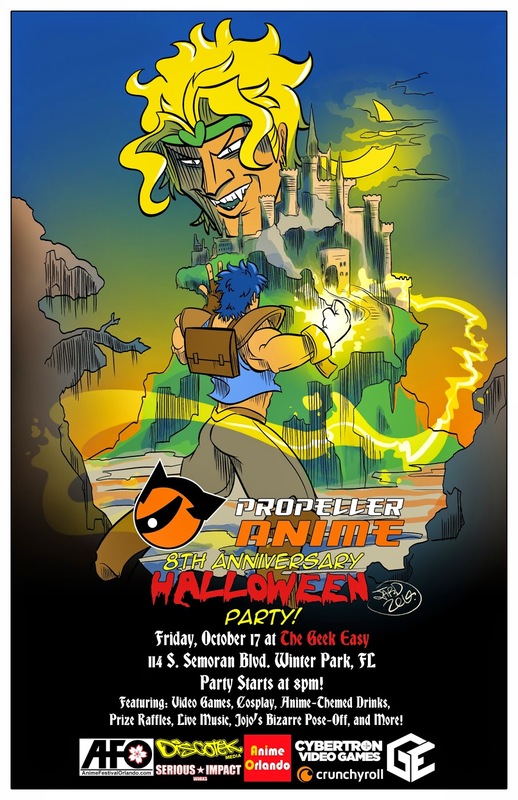 Propeller Anime turns 8 years old and we'll celebrate on Friday, October 17th with a night of grand fun and debauchery! There will lots of fun things to enjoy at the party, like videogames, live music, prize raffles, anime-themed drinks, dancing, cosplay, and even a JOJO'S BIZARRE POSING CONTEST! Perhaps we will bring back the Twister mat? Because why the hell not?! Anyways, it's a party, let's just have fun! Best of all, this party is FREE! How about that?! Whether you come out to our events all the time or once in a while, we want to see you there! 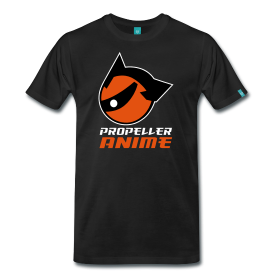 If you've never been to a Propeller Anime event before, this is a great time to start! 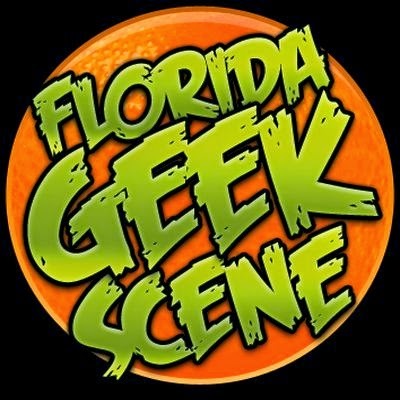 We'll be making our glorious and heroic return to The Geek Easy, located at 114 S. Semoran Blvd Winter Park, FL 32792, in the back of A Comic Shop! The place has changed a lot since the last time we were there. It's bigger and they have a bar and serve food! There will be beer, wine, sake, soft drinks, and even Ramune! Plus sandwiches, snacks, and Pocky! We're the greatest anime club in ZA WARUDO and let's show that once again with a party that's going into OVERDRIVE! (Jojo's references all day, folks) Stay turned for more announcements about acts, prizes, and all sorts of other fun! Prize sponsorships courtesy of Anime Festival Orlando, Anime Orlando Inc., Cybertron Video Games, Discotek Media, and Crunchyroll! Giant shoutouts to our friend Jared Stokes for making the poster! Our Anime Weekend Atlanta Schedule!